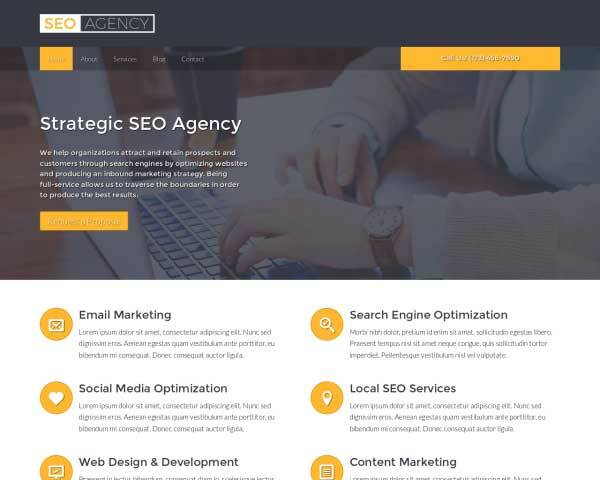 Save time on coding, searching for plugins and setting up pages yourself with the SEO Consultant WordPress theme, a pre-built website template that comes with everything you need to quickly build a professional website for your online marketing services. As an SEO expert you already know the importance of having a professional online presence for your business. 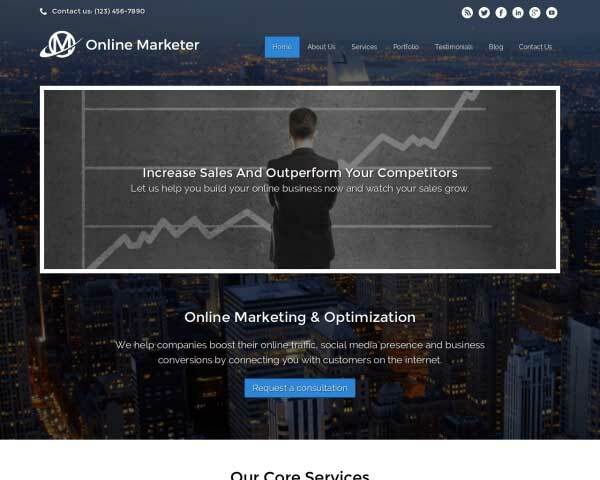 With the SEO Consultant WordPress theme we've made it easier than ever to quickly get your internet marketing services online without any coding at all. 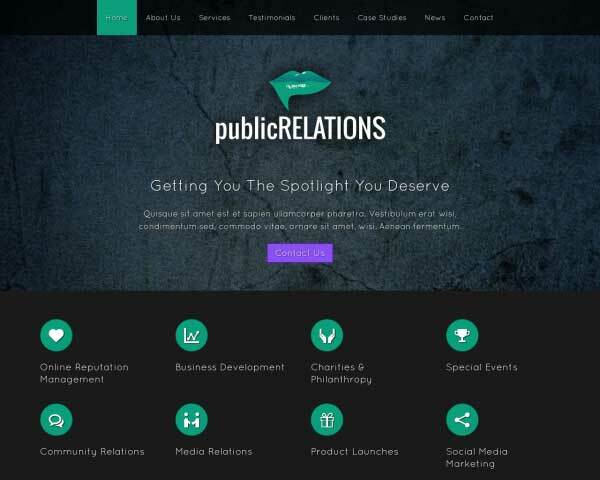 This website template is set up with pages for common SEO and online marketing services, a company profile page, and of course a blog and contact page. Just replace the text and images with your own and it's done! Giving your new SEO website a custom look and feel takes just a few clicks using our unique front-end editor, so web designers and end users alike will be able to easily change colors and styles and keep content updated. We've included useful features that would normally require additional coding a search for the perfect plugin, like built-in contact forms, lightbox image galleries, and social media integration. 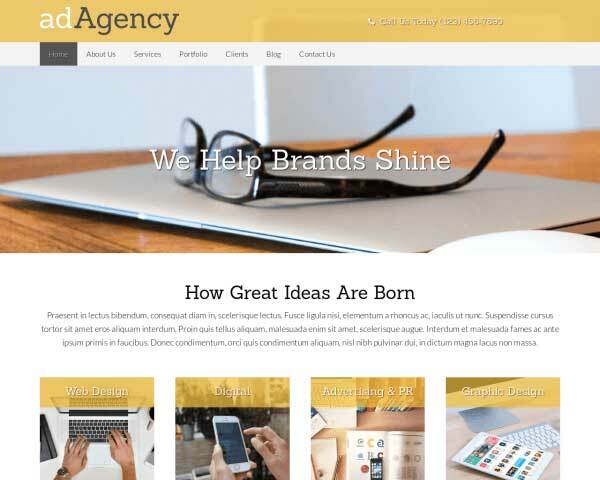 And this responsive WordPress theme is mobile-optimized right out of the box, so you can feel confident that your website will make a great impression even on small screens. 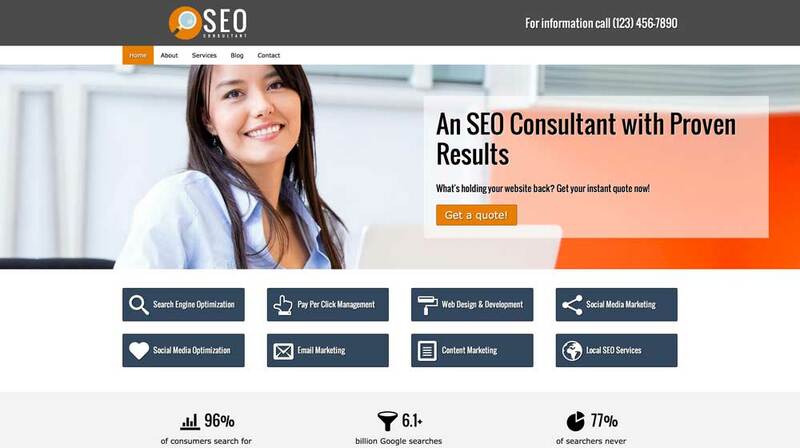 With the SEO Consultant WordPress theme, you can get your complete website online in no time and start attracting new clients today! 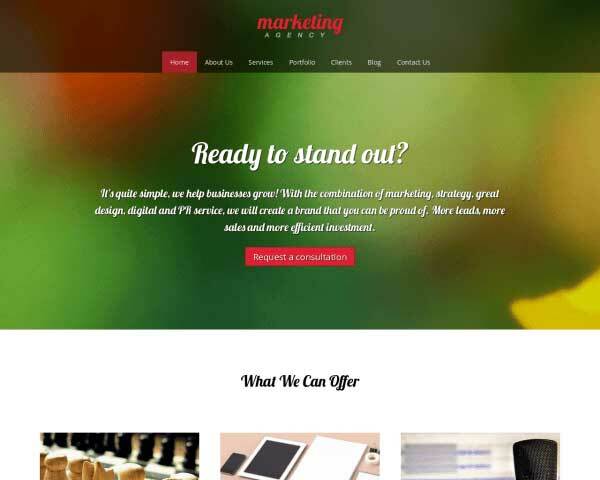 The SEO Consultant WordPress Theme was designed specifically with the needs of seo experts in mind in order to offer your the best match for your business. 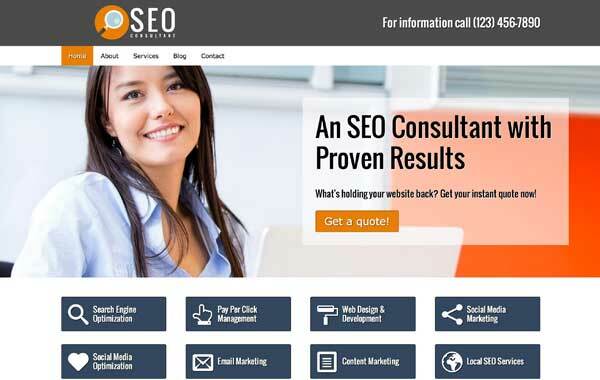 Visitors won't have to search for a way to get in touch thanks to calls to action prominently displayed on every page of the SEO Consultant WordPress Theme. 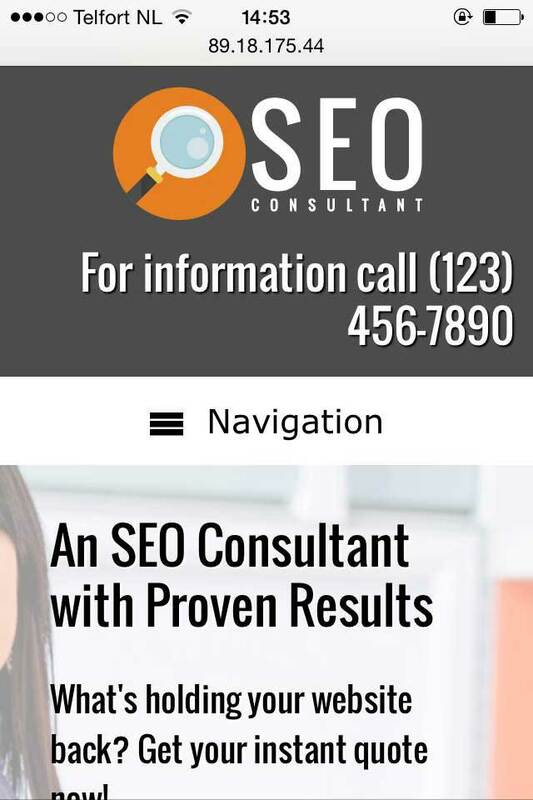 Not only does the contact page of the SEO Consultant WordPress Theme contain basic contact information, it also includes a Google map, route planner and contact form. 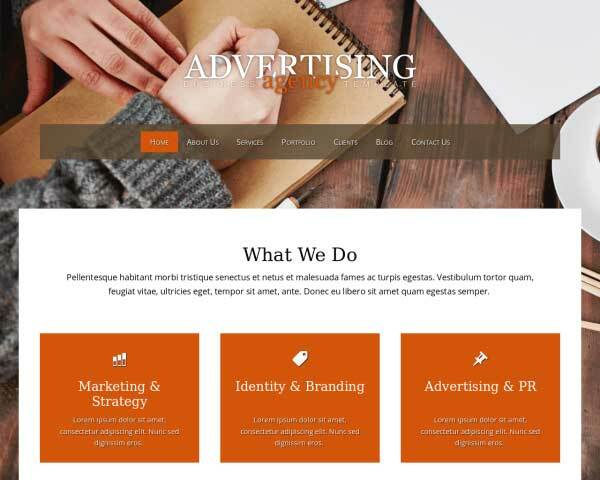 The SEO Consultant WordPress Theme has a clean and professional design that can be easily adjusted to suit your company's own specific design needs. 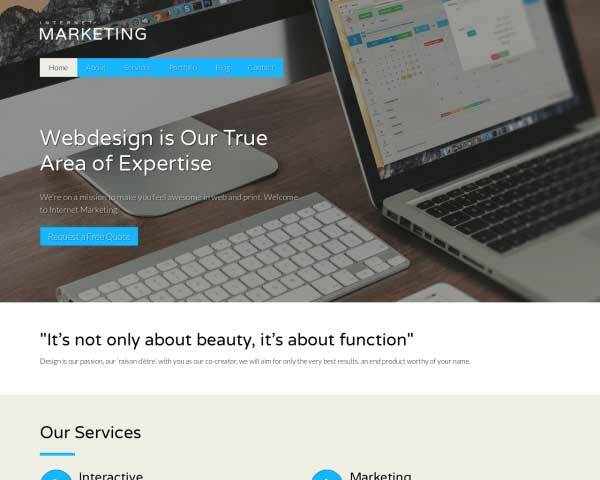 With the SEO Consultant WordPress Theme you have a quality tool to create elegant and appealing service detail pages with above-average layout and styling. 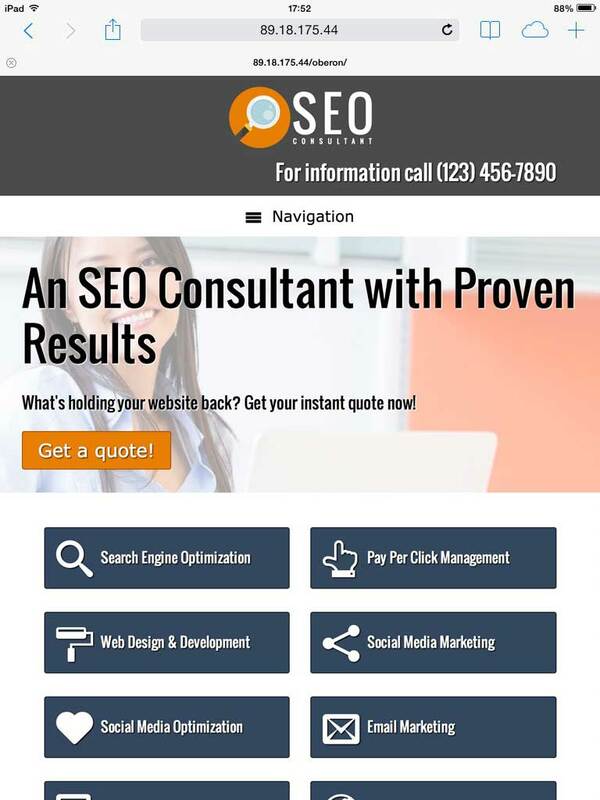 Offer an attractive overview of your services on the homepage of the SEO Consultant WordPress Theme, along with quick navigation to important pages on your website. No extra plugins are required to display sharing and following icons for the most popular social media platforms with the SEO Consultant WordPress Theme. 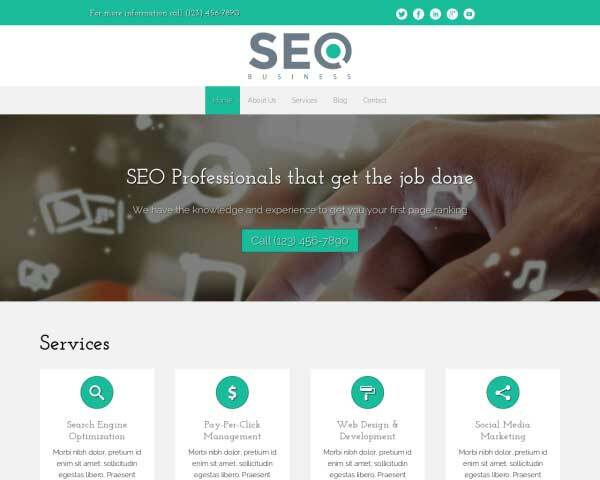 This responsive WordPress theme for SEO consultants is built to look great on all handheld devices, even as you add new content and as new smartphones and tablets enter the market. That's because our mobile-optimized design will automatically adjust the layout of your images and text to display neatly on any screen size, without any extra coding or plugins required. Mobile visitors will enjoy the same professional design and functionality of the desktop version, together with the ability to simply tap your phone number to dial or tap your email to open a new draft.